* All fares below were last found on : Apr 19, 2019 10:03:01 AM. Fares are round trip. Fares incl. all fuel surcharges, our service fees and taxes. Displayed fares are based on historical data, are subject to change and cannot be guaranteed at the time of booking. 80% of Melbourne Airport travelers were over the age of 35. 45% of Melbourne Airport travelers were over the age of 60. 2% travelers traveled to MLB with kids under the age of 14. 16% of MLB travelers were millennials. 58% of MLB travelers were female. Travelers spent an average of 6.00 days in Melbourne Airport. 1:00PM - 2:00PM are the busiest hours at MLB. Every week, at least 81 domestic flights and 2 international flights depart from MLB. 95 flights arrive each week at MLB. 94 nonstop flights arrive at MLB each week. The first flight to MLB departs around 6:00AM - 7:00AM. The last flight to MLB departs around 12:00AM - 1:00AM. March was the month with most bookings for MLB airport. November was the month with least bookings for MLB airport. Melbourne International Airport is a city owned public airport serving Melbourne, Florida. 5-passenger airlines offer scheduled services to destinations including Marsh Harbor, Atlanta and Charlotte. Inside the terminal building is the Airport Museum displaying the history of the Melbourne International Airport and of the Naval Air Station Melbourne. Book flights to Melbourne Airport (MLB) with CheapOair! In addition to offering competitive airfares to locations most convenient for you, we provide useful information to inform your travel to MLB. Read below to learn more about MLB flights, and count on CheapOair for the best deals on all of your travel booking needs. One of the safest and most convenient ways to travel to downtown from the airport is by renting a taxi. 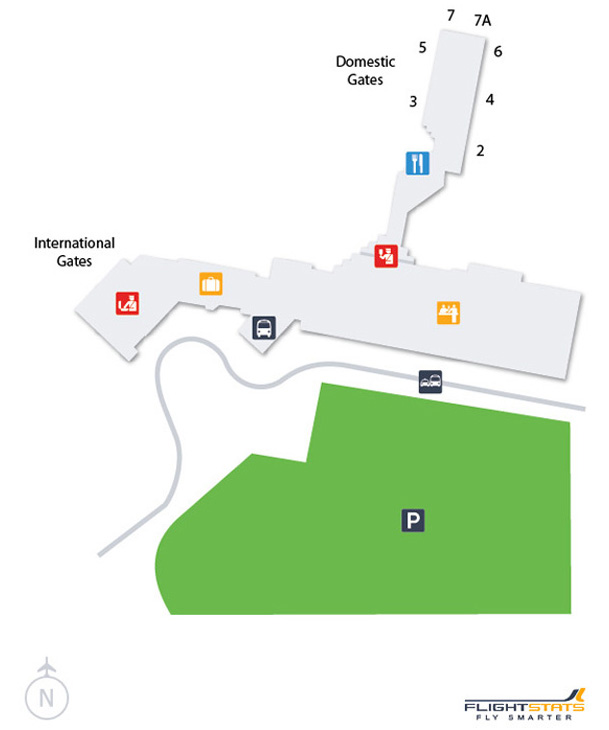 Melbourne Taxis are safe, the taxi ranks can be found on the first floor outside the Terminal 1 & 3. Offices of the car rental companies can be found on the ground floor or the short-term car park. The car rental companies operating at the airport include Avis, Budget, Europcar, Hertz, Thrifty and Redspot. For a cheaper travel to downtown take up the public buses, bus stop is located at Terminal 1. Need urgent cash? Space Coast Credit Union operates an ATM Machine that can be found in the Atrium. When traveling through Melbourne International Airport, never miss a mail, stay connected with your work with the free internet offered by the airport. Have a small meal at any of the two restaurants present at the airport. The Runway Grille is located in the atrium while the Gate 1 Bar and Café is on the Concourse. 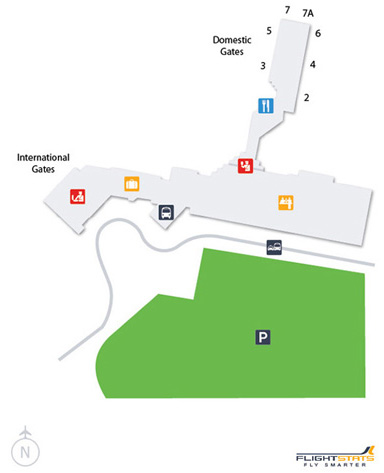 Being one of the most prominent airports of the country, Melbourne International Airport offers a large number of parking options to its passengers. The Short-term parking lot is a perfect option for those who are here to pick or drop someone, this parking lot is located 100 m away from the terminal building. The Long-term parking lot is designed for those who wish to leave their vehicle for a week or two or even a month. A shuttle bus operates from the long-term parking lot, the bus stops at all the terminals. Other parking options include Multi-level long-term parking, Business parking, Value long stay parking and Ring & Ride waiting zone. Find cheap hotels in Melbourne - Lowest rates for all sorts of Melbourne hotels!